New Delhi: Holders Minerva Punjab FC have requested the All India Football Federation to shift their upcoming I-League match from Srinagar or defer it in the wake of the Pulwama terrorist attack, saying the club is ready to forfeit if the game is not rescheduled. On Thursday, at least 40 CRPF paramilitary troopers were killed in a terror attack while several others are battling for their lives following what is being termed as the deadliest terrorist strike in three decades in Jammu and Kashmir. Defending champions Minerva Punjab FC are scheduled to play Real Kashmir FC on February 18 at the TRC Turf Ground in the Jammu and Kashmir capital. "We have written to the AIFF requesting them to shift the game from Srinagar. My team jersey has the line written 'We Salute Indian Army'. A game of football is nothing compared to what has happened last evening," Minerva Punjab FC owner Ranjit Bajaj told PTI. He added, "We are willing to forfeit the game if it is not moved out. I am sure the people will stand by us and really three points don't matter under the circumstances." An explosive-laden SUV rammed into one of the buses in the CRPF convoy at Awantipora town in the Pulwama district on Thursday. When contacted, I-League CEO Sunando Dhar said they will consider the feedback from the local authorities in Srinagar. "We will see what the local authorities have to say. We will go ahead with the match if the local authorities give us a positive feedback. As of now, it is on, and shifting remains the last resort," Dhar said. 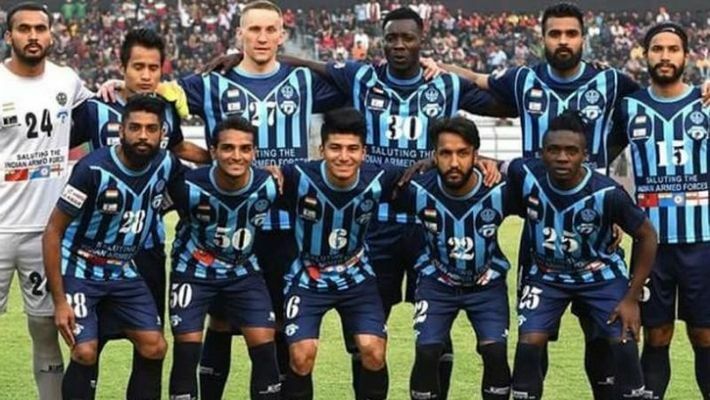 Minerva Punjab FC also issued a statement and explained the security concerns that the team has. Real Kashmir are currently placed second on the points table behind Chennai City FC, while Minerva are already out of title contention owing to average results this season. "We regret to inform you that due to current instability and volatility in the region, we request you to please defer the I-League fixture against Real Kashmir or have it held at a neutral venue," the club said in a statement. Established in 1955, Minerva Academy is a premier training institute for SSB aspirants with over 60 years of experience. "We wear a tribute to the Indian Armed Forces on our match jerseys. Needless to say, we stand in support with our Armed Forces, and cannot play a football match, where 42 of our brothers have been martyred. "Additionally there is the security threat which will be faced by us when if we do travel for our match. Who will guarantee our safety? Ideally, there should be written assurances and permission from the Ministry of Home Affairs that the region is safe enough to conduct the match as scheduled and that our safety can be guaranteed," the club said in its statement. The terrorist attack has attracted condemnation from the global community with nations such as the USA and France again pledging their support to India in the war against terrorism. The club further said, "Considering the extraordinary and unprecedented circumstances we hereby request you to please defer the I-League fixture against Real Kashmir till such time our safety is guaranteed by the authorities or have it held at a neutral venue." Third-placed East Bengal, who are scheduled to be in the valley on February 28, have also got in touch with the AIFF after the attack, expressing similar security concerns.